The CrashGuard from Primacoustic is a very clever device developed in response to common issues dealing with sound bleed on drum kits. When trying to cleanly isolate the sound from different drums on a fully miked up kit, it is natural for sound to bleed in from adjacent sources - particularly due to the close nature of each drum element. The CrashGuard essentially creates a shield around the off-axis portions of a microphone which uses a combination of reflective and absorbent materials to reduce these unwanted sounds and resulting in a cleaner, tighter sound capture. 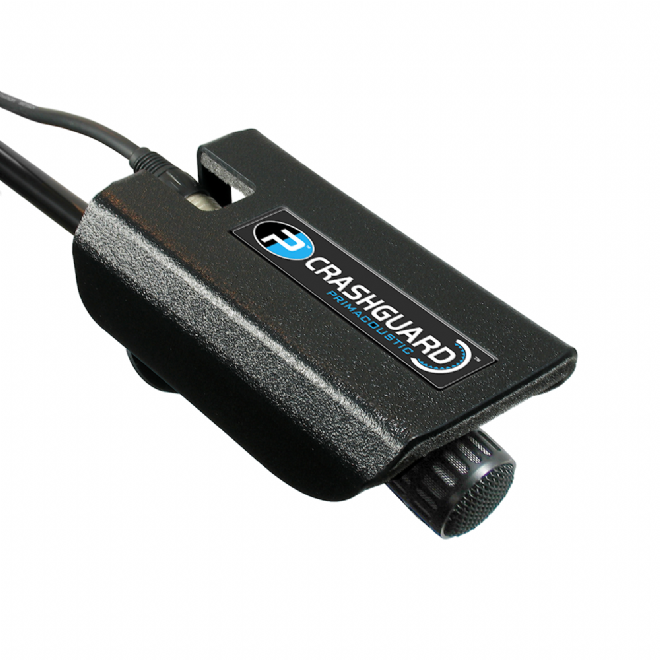 Primarily aimed at recording studio use, the CrashGuard is also used live where it helps to create cleaner drum sound. The CrashGuard comprises a tough, plastic shell which is lined with a layer of acoustically absorbant foam. 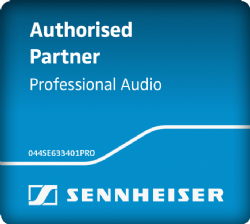 A mounting hole at one end allow the microphone to be mounted within the shell.